I hope your week is going well so far. 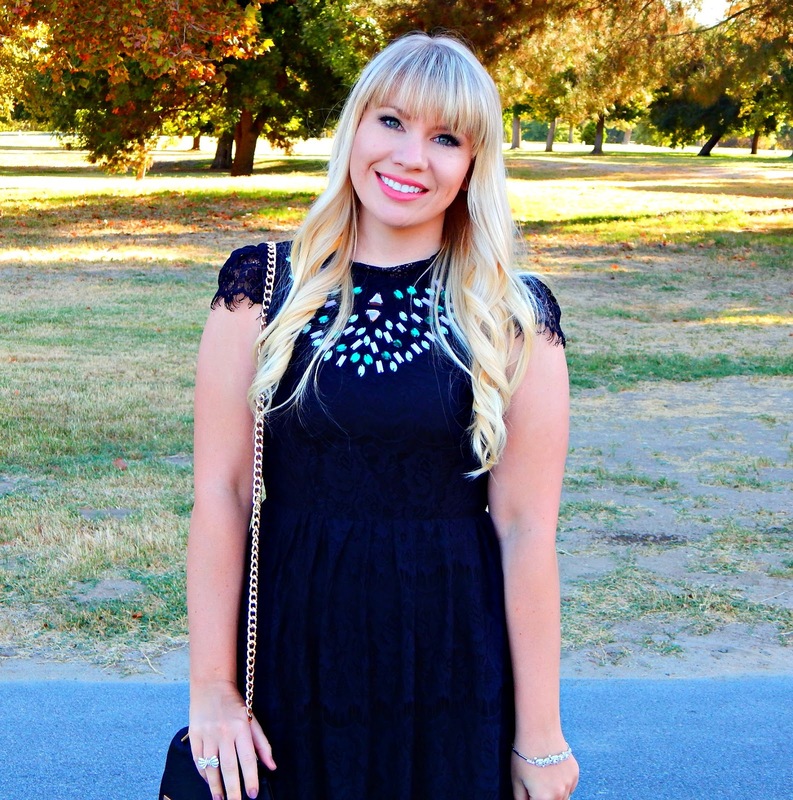 Today, I’m talking holiday dresses and have a special giveaway! Read on to see how you can win a $100 voucher to Wolf and Whistle! With Halloween right around the corner, we are just one step closer to the Holidays…which means holiday dress shopping! Yay! The weeks leading up to Thanksgiving and Christmas seem to fly by so it’s important to get your look ready early. 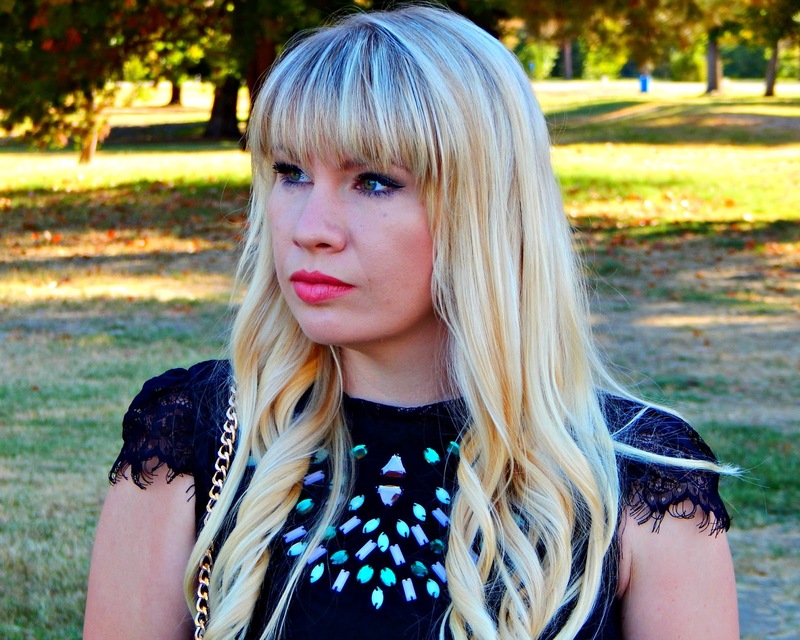 As you all know, I’m a huge lover of all things lace and I think it’s just perfect for all festive occasions. I absolutely adore this dress from Wolf & Whistle! The lace is super pretty and it’s a very flattering shape. Plus the jeweled bib adds that extra bit of sparkle. Cap sleeves are not normally the most flattering on me, but I love how unique these ones are. I styled it with a black saddle bag, simple silver jewelry and the cutest black bow heels. For a cooler weather option, I’d add black tights and a white faux fur jacket. Love this dress as much as I do? Enter the giveaway below to win a $100 voucher to Wolfe & Whistle! Good luck! Congrats to Ali Lang for winning the giveaway!